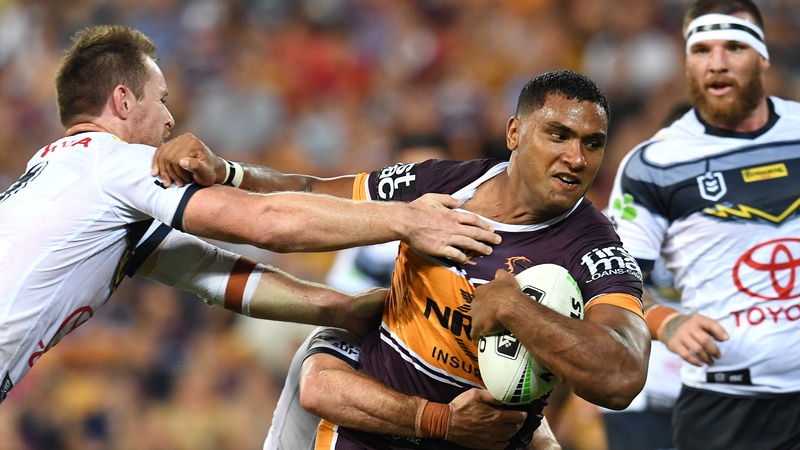 Cowboys coach Paul green has confirmed the North Queensland franchise are facing a string of serious injuries following his side’s 29-10 capitulation to the Brisbane broncos in the QLD derby. It was trying night for Green’s troops with biggest setback coming in the form of club talisman Jason Taumalolo pulling up sore after falling awkwardly on his right knee in a heavy tackle from Broncos man-of-the-match Tevita Pangai Junior. Green was reluctant to reveal the extent of his star’s injury but confirmed the club was facing a host of concerns coming into to only the third round of the NRL season. “Hopefully it’s not too bad, I don’t really want to speculate too much at this stage but it’s a medial issue,” Green said of Taumalolo's injury on Nine’s Friday Night Knock Off. Nene Macdonald and Joh Asiata were also whisked form the field to the HIA after sustaining strong head knocks in what proved to be another setback North Queenslanders’ trying night down south. “Nene didn’t come back on but Johnny came back on so he’s fine,” he said. “It forced us to shuffle our team right around, so we had guys defending in particular in positions they’re not used to. But that’s footy these days. Despite last week's emphatic victory over the Dragons, Green conceded the club was still in a period of reformation without favourite son Johnathan Thurston for the first time in 14-years. But he assured his pack had what it took to see the Cowboys into a new era. “A guy like Jono, he’s a pretty influential character in the group,” green said. “It’s always going to be different when you take someone like that out. The Cowboys will hope to discover their Round 1 form when they come up against the Cronulla Sharks next Saturday.